It's that time of the year to go on the hunt for a perfect wintercoat. In my opinion a wintercoat is something you need to wear more than one season, so it's important you find a combination of something timeless yet fashionable. 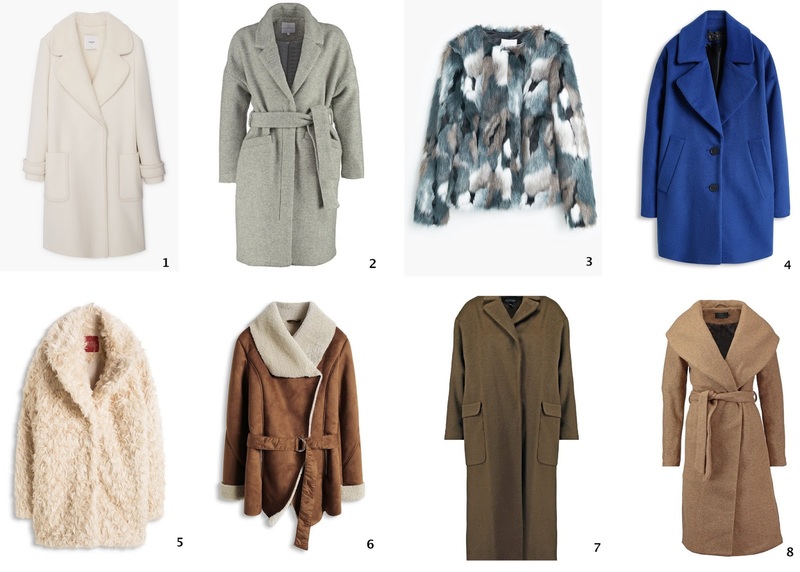 So I made my top 8 of pretty and payable wintercoats for you. My number 1 this year is definitely the lammy inspired coat by Esprit (number 6). I love the brown colours and the belt. Which one is your favourite? Nummer 6 is ook mijn favoriet! Very nice! Nummer 6 is ook mijn favoriet, erg mooi!